For many challenging questions to really get you thinking, try the brilliant Underground Mathematics site. You can follow them on Facebook or Twitter too. You can search by Station, suppose you want to practise your Algebra – try the Thinking About Algebra Station for example where you will find everything from Equation Sudoku to some challenging Surd manipulations. On the subject of surds – try Scary Sum! If you create a (free) account you can save and categorise your favourite resources. These are questions designed to test students’ understanding of one or more topics and to exercise their problem-solving skills. In many cases they can also be used as a classroom resource to help teach concepts and methods. They are mostly drawn from past examination questions and have been chosen as ones that are interesting in nature and require non-routine thinking. The hints and solutions are designed to explain the reasoning and highlight connections as well as giving the answer. In many cases, alternative methods or solutions are presented. Note the various question types available; these include very challenging questions for students age 16+. The Oxford MAT collection includes an extensive selection of Multiple Choice Questions. O/AO-level questions are included. These questions provide excellent challenge for sudents aspiring to the top grades for examinations taken at age 15-16 and beyond..
Can we fully factorise x4+4y4? Starts with a Show that…. We could get very sophisticated and look at those quadratic factors too; useful for those studying the Level 2 Further Mathematics Qualification. Can we simplify these simultaneous equations of degree 1 and 2? Solve simultaneous equations. We will need to factorise a quadratic in this problem with a coefficient which is not 1 for the square term. My students and I are fans of the Box Method where a factorisation cannot easily be done by inspection. As we start a new academic year, it will be a time of change for many students. Perhaps you have completed GCSEs or equivalent qualifications (UK age 15-16) and are about to start on your A Levels or perhaps you have completed those and are about to start studying Mathematics at university. To be in a position to begin your new courses well you should be thoroughly familiar with the essentials of the work you have studied to date. At whichever level you are studying your Algebra should be at a standard where you can manipulate expressions with ease. Make sure you have some useful apps on your phone if you don’t have them already. Mathscard app from Loughborough university is free and a handy reference guide of mathematical facts and formulae. Every student should have the Desmos app (free) and you could also get the WolframAlpha app (low cost). Sign up to Brilliant and follow them on Facebook so Maths problems appear in your stream and hopefully distract you from trivia! For students going on to A Level then these GCSE revision resources will be useful. The takeaways are really useful and Mohammed Ladak has picked out Transition Takeaways specifically chosen to help with A Level Maths preparation. You could also look at Step Up to A Level Maths from The Centre of Innovation in Mathematics Teaching which helpfully lists skills you should be confident with and provides resources to support your study of these skills. As you study your A level course you may find some of the material in the section below useful. For many challenging questions to really get you thinking, try the brilliant Underground Mathematics site. If you are preparing for university, then make sure your A Level knowledge is secure – perhaps check the Algebra Refresher from The Mathcentre which has many questions and the answers are at the end of the document. The The Mathcentre has an extensive collection of helpful resources for students of Mathematics. For a collection of forty mathematics activities bridging between A Level and University, try Carom Maths from Jonny Griffiths. Check the List of Activities, how much do you know about Inequalities for example? For a complete PowerPoint with information and questions on Inequalities, choose Carom 1-2: Inequalities. 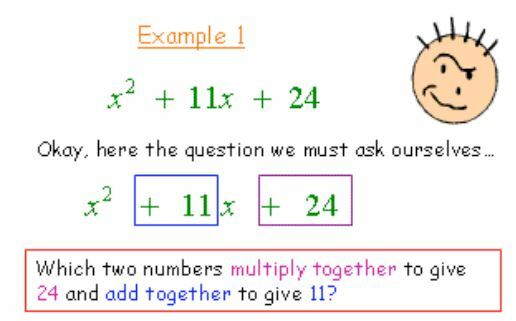 For older students AJ Hobson’s Just the Maths (individual pdfs hosted by UEA) (or a complete pdf from the Math Centre: AJ Hobson’s ‘Just the Maths’) is very useful as is the excellent Math Centre site which includes extensive resources. The quick reference leaflets which are available on numerous topics are very clearly written and succinct, see these for example on the Product Rule and the Quotient Rule. There are also teach yourself booklets, revision booklets, videos and diagnostic tests. See also these very clear notes with exercises from Plymouth University. There are many free courses available from The Open University and MIT . The HELM Project. If you have not come across the HELM Project before, the project was designed to support the mathematical education of engineering students and includes an extensive collection of notes which include clear worked examples. You can see on the list that a very small number of titles are ‘not ready yet’; for the sake of completeness the complete set is hosted by the Open University. To access the Open University resources you will need to create an account (easy and free), this will also give you access to the numerous free online courses. See this Evernote shared notebook: Mathematics notes for many more useful links. Several universities have created very helpful Mathematics support which they have made available to all students. (You do not need an Evernote account to view the notebook). If you are studying or about to study at university then have a look at Kevin Houston’s ‘How not to get a good mathematics degree‘ and ‘How to get a good mathematics degree‘. He also has provided a pdf file you can download: 10 Ways to Think Like a Mathematician. Kevin Houston works at the University of Leeds in the UK. And finally – check the 11 Commandments of Mathematics! Wishing Mathematics students everywhere – whatever stage you are at a very successful year. Perhaps you are revising for end of year exams. If you want some basic practice then David Watkins has an extensive collection of spreadsheets so you can try as many questions as you like on many topics at your chosen difficulty level and then check your answers. The spreadsheets can all be found on his Dynamic maths site. Start by searching for the topic you want; let’s suppose you want to look at adding and subtracting directed numbers. Select the down arrow in the search box and select the topic you want; here we need integers. You will then see a selection of Dynamic Worksheets which are all Excel files. If you want to add and subtract integers then choose Integers-01 and download it. Once you have your Excel file you can practise as much as you want as you can generate as many questions as you like. You will need macros enabled. Note that you have several choices, you can show answers when you are ready to check; you can choose the number and type of questions and so on. For more sites with lots of questions see this post which includes questions for older students too. For papers on emaths click the link here. Note the useful revision questions and interactive papers at the foot of the page. If you are looking for some more questions – see ‘Questions, lots of questions!